Quinta Etas Mundi. Folium. LXXXII - SCHEDEL, H.
Title : Quinta Etas Mundi. Folium. LXXXII. Size : 17.2 x 12.0 inches. / 43.8 x 30.5 cm. 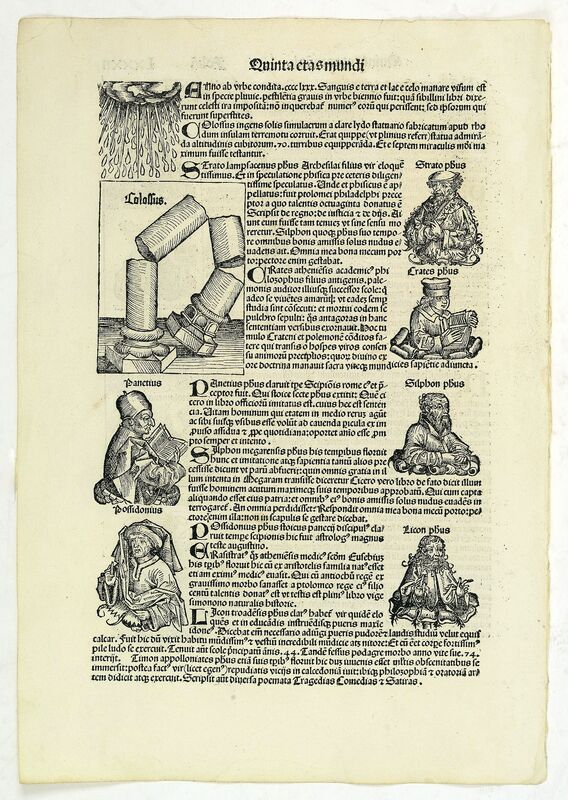 Description :The Latin text page is illustrated with a depictions of Kings, Noble men and women and scientists. Condition : Letter press with wood block prints. Size of the sheet : 438x305mm. Dark impression on large sheet. Good condition.